January 10, 2012 January 15, 2012 The Running StartLeave a Comment on How does a brand become a hero? 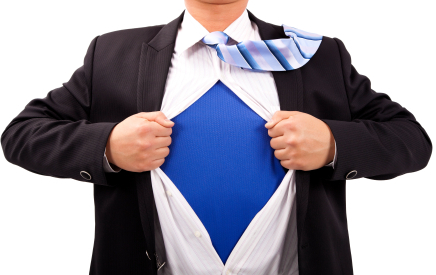 How does a brand become a hero? Yesterday, I read an article entitled “Content Marketing Storytelling: Secrets from the Big Screen,” from B2Community. What resonated most with me was Robert Rose’s statement that, according classic Hollywood storytelling, “your brand should always be the hero that will be transformed.” If you watch his video, you’ll learn how a brand, similar to a character in a film, must overcome their fear of the unknown by going on a transformational journey in order to be re-born as a “hero” in the customer’s (or audience’s) eyes. Along the way, the “hero brand” needs to share their stories of how they overcame certain challenges and talk about the key influences, or “mentors” who helped them to prepare for even bigger challenges ahead. This helps to build trust and support from your audience – inviting them to come along on the journey with you. In some cases, I suppose that the customer can actually be that “influence” or “mentor” who helps the brand to evolve. I can think of many brands that have gone through this type of transformation in order to win over their customers. A great example is when Steve Jobs was fired from Apple, went on to found Pixar, and then returned to Apple to help the company transform into the worldwide powerhouse that it is today. At various points along his journey, he was both the hero and the influencer that transformed the Apple brand. As a result, his story has become an inspiration for many future entrepreneurs. But my question is this: do all brands become heroes knowingly, or is it sometimes a stroke of luck? Likewise, once a brand has won over their customer, how do they continue to be “transformed” or “re-born” in their customer’s eyes? I suppose that if a brand is big enough already, they can rely on the media to help them tell this story on their behalf. However, if you’re just starting out, it’s important that you play a role in helping your story to unfold. That means sharing your challenges and the hurdles that you overcame, even if they aren’t as glamorous as your big accomplishments, in order to win over your audience. As a writer for a number of technology blogs, I also find it equally interesting to write about a company’s challenges. We can all learn from each other. So, the next time you’re trying to think of a story to share with a blogger, reporter or on your own company blog, think about sharing a challenge that you faced and overcame. According to Rose, this will help to make you a “hero” in your audience’s eyes.